If you're anything like the average American, you are already know what your summer adventures will look like. Summertime is all about spending time relaxing and exploring with your family and friends. That may include entertaining at home (or your lakeside rental house), or celebrating a graduation or wedding. 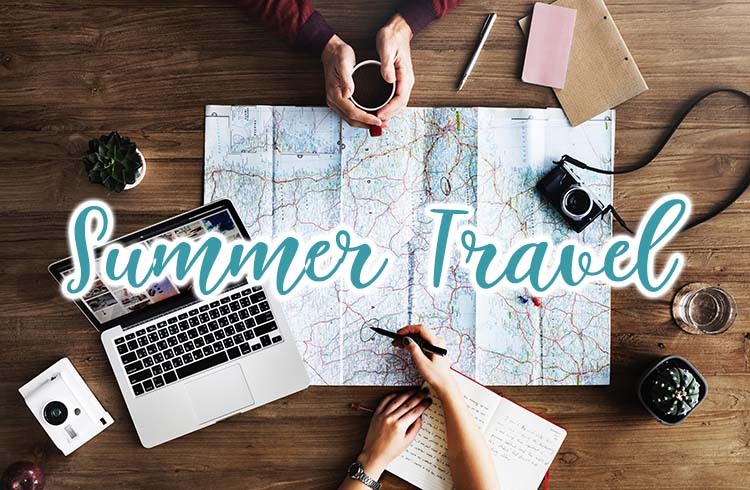 You may have planned trips to tropical beaches, lakeside campsites, family members across the country, and destinations abroad. Foam floor tiles will add the perfect touch of comfort to the floor of your tent and they don’t take up too much room when you’re packing. Make a drinkable lantern: simply point your LED headlamp to a store-bought water jug and you have ambient light, and when you don’t need it anymore you can simply drink it! Prep your meals at home, freeze what you can, and when you’re ready to eat, thaw it out and cook it over the fire. Bring a yoga mat to lay down on instead of a towel. The cushion-y support and waterproof material will ensure that you lounge in comfort! Keep a dust broom in your car to brush any lingering sand from your clothes, your shoes, and your belongings. The ride home will be more pleasant with the sand brushed off! Chill your sunscreen in the cooler—when you need to apply and reapply throughout your trip, you will cool down your skin while protecting it. Dressing in layers will allow you the option to take off your sweatshirt and roll it up as a pillow if needed, or to add a long-sleeved t-shirt to give you some sleeves when the air conditioning turns on. I recommend three layers when flying (even in the summer): a tank-top, a long-sleeved t-shirt, and a hoodie. Packing unsalted nuts or trail mix to nibble on while you're flying will keep your energy up, but because they are unsalted they won't make you super thirsty. Invest in some earplugs or noise-canceling headphones as well as an eye mask if you're hoping to get some shut-eye on the plane. When checking in to your hotel, grab a business card from the front desk. This way, if you get lost and need help getting directions, you have the name and address of your hotel in the local language. Leave a copy of your passport and travel itinerary with trusted family/friends back home so that they can reach you if needed. I also recommend enrolling in the U.S. government's Smart Traveler Enrollment Program--it is a free online service that allows you to get alerts on the areas that you're travelling to or through and connects you with U.S. embassies who can inform you if there are any emergencies or crises back home and help you while you're traveling.